We find ourselves in Pittsburgh, Pennsylvania, several times a year these days. This year, we decided to schedule a stop in Washington, Pennsylvania during our return trip to Ohio. 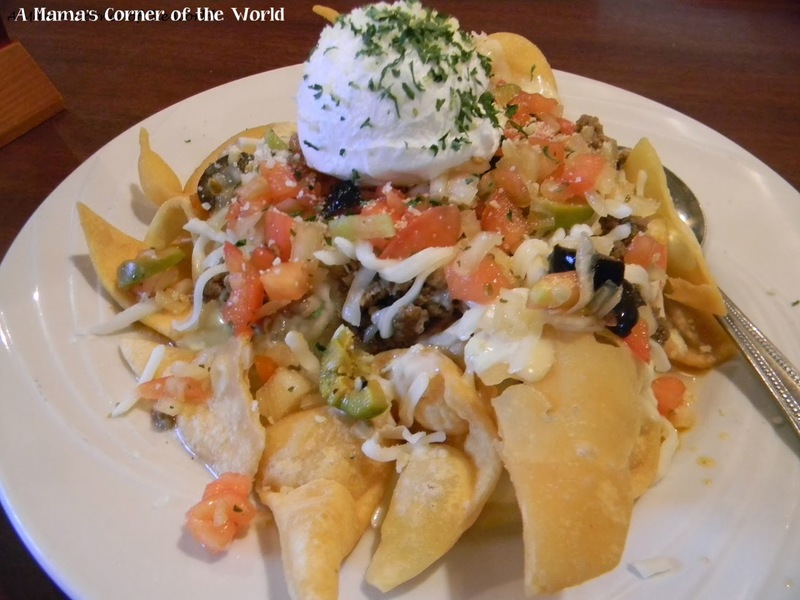 Before each trip, we select a few restaurant possibilities to visit during the trip. 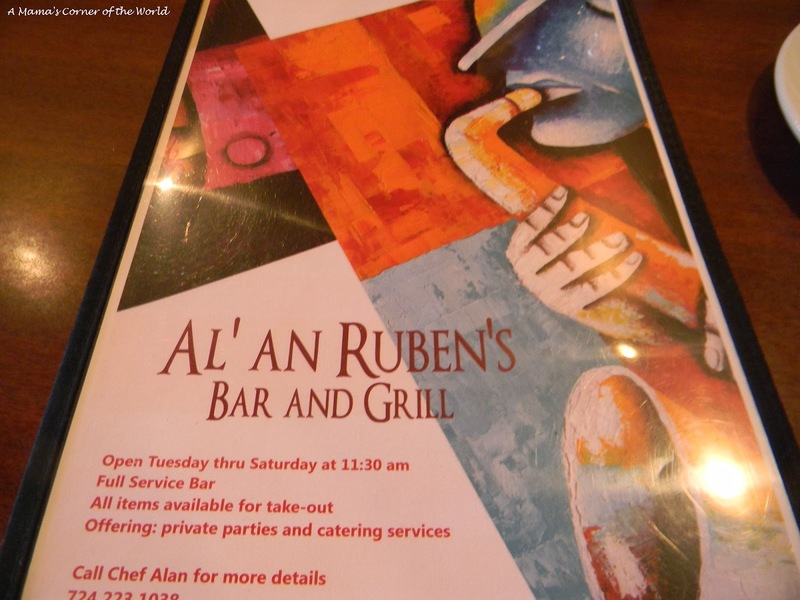 During our latest trip, we discovered Al an’ Ruben,s. 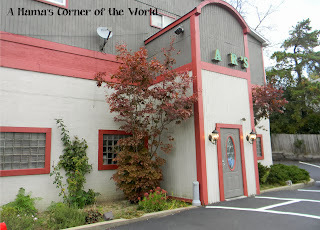 How did Al an’ Ruben’s stand up to our family’s review? Took a GPS tour of Washington en route to the restaurant. Okay—the GPS unit knew exactly where it was and it knew exactly where to turn—but, the lack of visible road signs and oddly arranged intersections made the trip to Al an’ Ruben’s from our hotel a challenge. At one time, I am sure that Washington, PA was a beautiful town—the houses are architecturally divine—but, several are sadly rundown today. The restaurant itself is housed in an older building—but, we were hoping for a good book beneath a worn cover. Parking was easy--in a virtually empty lot. We dined at an odd hour. There were few cars in the restaurant parking lot when we arrived. We attributed this to the mid-afternoon hour—it was somewhere between lunch and dinner for most—but, we had skipped lunch and were planning a late dinner near our hotel. Aside from the party that arrived as we were leaving, we had the restaurant to ourselves. “No public restroom.” The sign on the restaurant’s front door was worded differently—but, it was the first thing we all saw as we entered the front door. 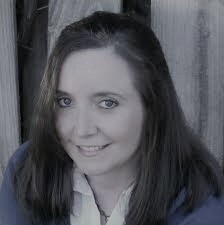 As we exchanged glances, it seemed to speak volumes about either the neighborhood or about the attitudes of management. I’ll be honest—as a mom who frequently travels with kids, this would not be a usual potty break choice for someone simply passing through. The atmosphere of Al an’ Ruben’s may be a work in progress. During our visit, there was some hammering and pounding as something was in transition near the front of the restaurant. The light jazz playing softly seemed to blend with the menu cover. The tables and chairs were dated—but, there was still something inviting in the atmosphere. How was the food and service? The server was not the friendliest--and was rather rude as our daughters (who do not drink soda) sought other drink options than "Coke products". After a long wait for drinks (we were told that either the tea or juice "had to be changed out"), it was time to order. Everyone enjoyed these--they were a nice twist on the usual bar and grill appetizer menu! Since restaurant portions are generally huge, we typically order an appetizer or two and share main course meals—at nearly every restaurant we visit. Always. The server immediately announced split plate charges--and seemed to make it clear that our requests, in the empty restaurant, were an inconvenience. The children’s menu items could be shared with a $1.00 split plate fee (or we could split the girls’ meal ourselves onto their appetizer plates) and adult entrees require a $2.00 split plate fee. Period. No matter the total bill, the time of day, or other menu items ordered. Okay. 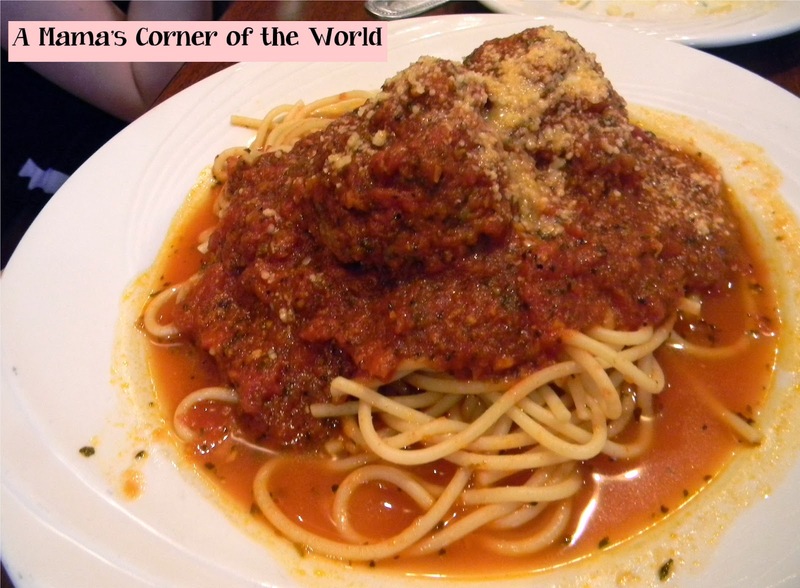 We gave in to the split plate fees—and even added an extra $1 meatball to the girls’ spaghetti dish so that we didn’t need to slice the one meatball in half. The portion was huge for a child's plate—and was certainly large enough for the two girls to share. The sauce was good, the meatballs were hits and the girls were happy. 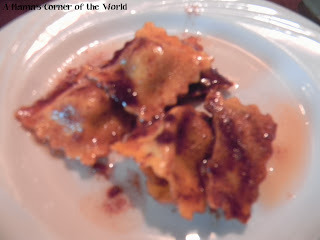 The special was a seasonal pumpkin ravioli in a caramelized brown sugar and butter sauce. It was served with a side salad for $15.95. (17.95 after our split plate charge.) We received (literally) a cup of mixed salad greens and nine, 1-inch sized ravioli in butter. The ravioli was dry, tough and dripping in butter and a little caramelized brown sugar. It reminded me of a frozen pasta meal that had been microwaved (or reheated) without enough liquid--making the pasta edges almost crunchy. Sadly, we weren’t interested in drink seconds or dessert. 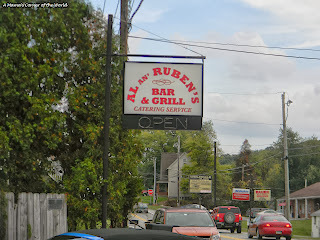 Would we recommend Al an’ Ruben’s? It is a restaurant that has potential in online pictures and descriptions—but, it’s honestly too close to Pittsburgh, Wheeling or even other Washington restaurants for us to give it a thumbs up. 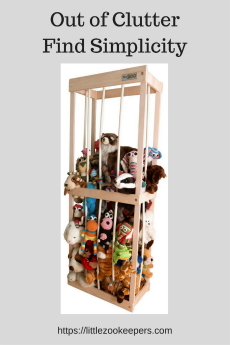 I would not return and couldn’t suggest it to others. It is a bar and grill that seems to think a little too highly of itself—and too little of its guests. It was disappointing. I wanted to enjoy it—but, it just isn’t all it wants to be. Disclosure: I was not compensated for my trip to Washington nor for this review. I hate to give negative reviews--generally I practice the "if you don't have anything nice to say, don't" policy--but, I left this restaurant feeling just horrible. The food was an expensive disappointment, the server went from bearable to rude once she realized that we were not "locals", the experience was just not a positive one and I felt that I needed to share it.